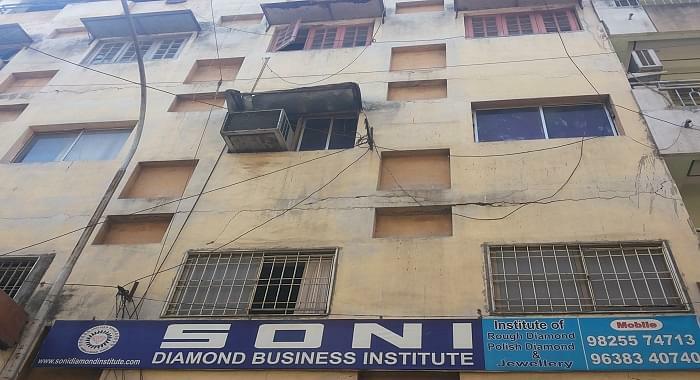 Soni Diamond Business Institute [SDBI] was founded in 2000 and located in city Surat, State of Gujarat. The institute is just 2 km. away from railway station & bus station, & 15 km far from the airport. The institute offers different certificates & Diploma Courses related to diamond, Jewellery & Jewellery designing education. The institute provides 100% practical knowledge of rough and polished diamond business with market, valuation and method of calculation. Jewellery valuation, solitaire valuation according to domestic & international markets, Jewellery designing gem identification, etc. are given here. Laboratory, career guidance, placement assistance made us No. 1 private institute in the state of Gujarat. There are more than 500 students have gained knowledge from here till now and they are doing their own business of rough and polished diamonds in all over Indian and international market. Jewellery or doing job in reputed firms like export houses, Jewellery manufacturing units, show rooms.